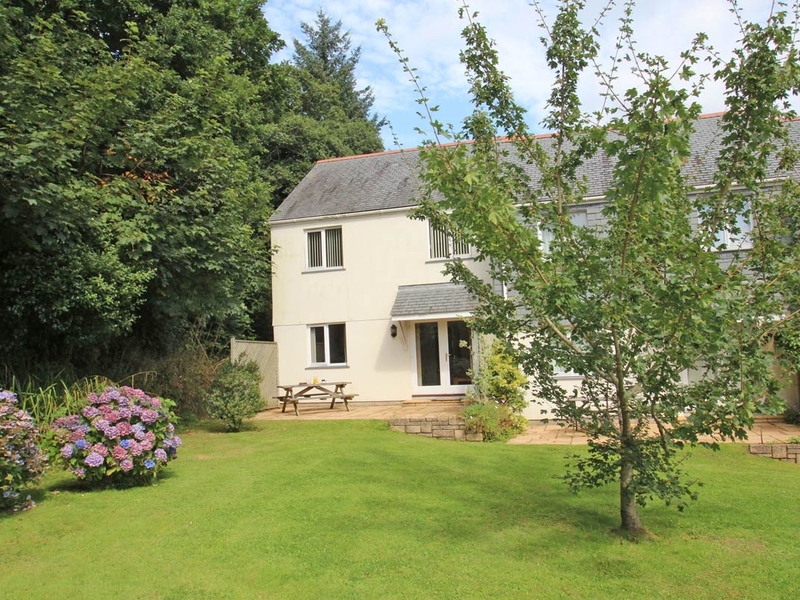 Bramble Cottage is a modern end of terrace house within the Village of Gardens at Pendra Loweth, near Falmouth. The house sleeps six people and has one double room with en-suite and TV, two twin bedrooms, and a family bathroom. One the ground floor is an open plan living room with kitchen, sitting and dining area. Outside there is a patio area with furniture and a BBQ for sole use as well as communal gardens. There is allocated parking for one car and visitors parking nearby. On-site facilities include a plunge pool, tennis court and children's play area. Located one mile from the closest beach at Swanpool, and a short drive of Falmouth resort attractions, Bramble Cottage makes an ideal choice for a family holiday. less than a mile east-northeast as the seagull flies, just over a mile by road. around 2 miles northeast as the seagull flies, around 6 miles by road. Bramble Cottage - A holiday cottage in Cornwall, England. Book your next beach holiday through British Beaches.